Eklingji Temple is one of the most well-known temples in Rajasthan. Situated in the city of Eklingji, the place earned its name from this famous temple. The city of Kailashpuri or Eklingji is situated in the midst of stunning valley on the lands of Rajasthan that is known to house some of the finest temples of India. The temple is located at a distance of 22 kilometers towards the north of Udaipur, Eklingji is conveniently reached by bus and car. Om Travel Online provides Udaipur to Shri Eklingji Temple Taxi Services. It devoted to Lord Shiva of the religion of Hinduism. Eklingji Temple was constructed by Bappa Rawal Eklingji is a religious complex that consists of over 108 temples that are carved out of marble and sandstone. This temple, constructed in 734 AD, is surrounded by high walls on all sides. One of the eminent deities of the Maharanas of Mewar, who is revered as Mahadeva Chaumukhi, has a pillared hall. There is a magnificently sculpted huge Nandi (the divine brazen bull who is the loyal colt of Lord Shiva) before the gate of the temple. 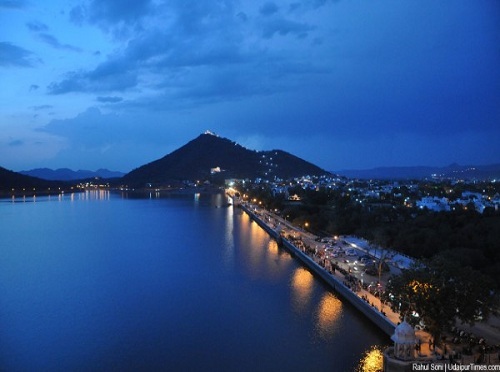 Udaipur is a beautiful city, the city of lakes which is filled with travellers round the year. People are loving coming to this city. If you are also planning to coming to this city and wondering about the best time to visit Udaipur then here are the details. Months from between March to June in summer and from between October to March in winter are considered as the best months for tourism. When you plan your trip to Udaipur, make sure that you include Eklignji in your itinerary. Om Travel Online is one of the most well-known tour operator in Udaipur. Let us know about your plans and we will tell you about the best package deals that we have created for you. Hire Om Travel Online- Taxi Services in Udaipur, it provides affordable local and outside tour in Udaipur, Rajasthan.